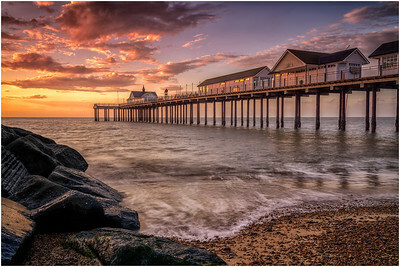 The photographs in this portfolio represent Steve’s favourite Suffolk seascape images taken along the Suffolk coast. To find out information for a picture and to view full size please click on an image. 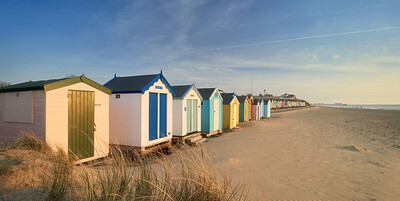 Traditional Wooden Beach Huts on the Suffolk Heritage Coast of Southwold. 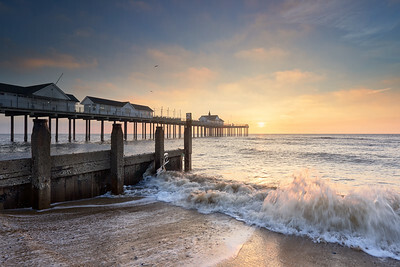 Dawn on the Suffolk Heritage coast of Southwold. 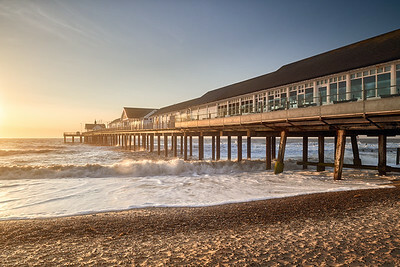 The sun has just broken the horizon, casting it's warm glow on the colourful wooden beach huts which taper off into the distance towards Southwold Pier on the horizon. 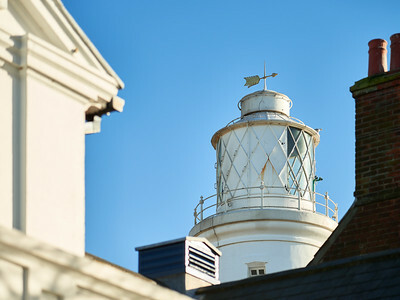 Southwold lighthouse on the Suffolk Heritage coast, standing tall of the rooftops on a sunny day. 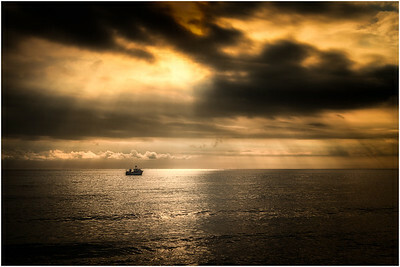 A boat sailing to the fishing grounds off the coast at Gorleston, Norfolk. Its an early Spring morning and the sun has just risen above the horizon and I have the entire beach to myself, not a person to be seen. Surprising what you can find on Corton beach at low tide. 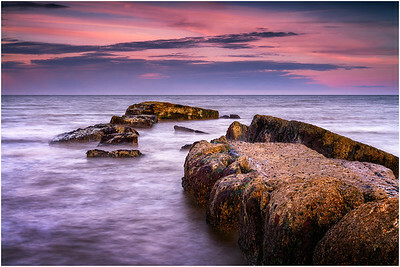 This 36mp shot was taken on slack water, just before the tide turned and started to race. 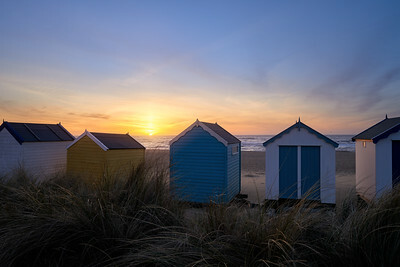 Was luck to be there just before sunset and got some lovely colour in the sky. 20 minutes later had the waves crashing into the rocks making it too dangerous to be on the slippery rocks. 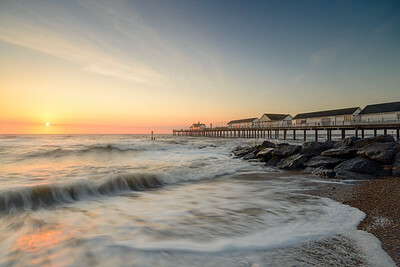 Up at 3.45am for a trip over to Southwold, Suffolk. It didn't look too promising as there was some thick patches of fog on the 50 minute drive over. Luckily just before sunrise the fog broke and was greeted to this spectacular light reflecting off the pier. 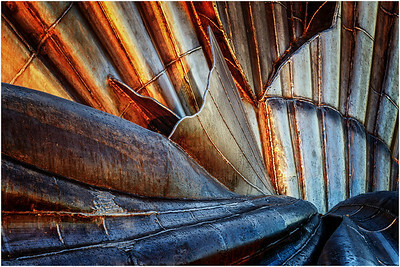 Abstract photograph of the 12ft x 20ft "Aldeburgh Clam", designed by Maggi Hambling, located on the shoreline at Aldeburgh, Suffolk, UK. 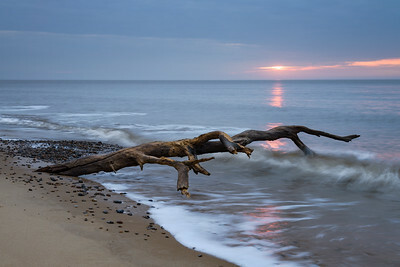 Was lucky to find this bit of foreground interest on the Suffolk coast at Covehithe. It must have been washed out from the cliffs on a previous high tide. 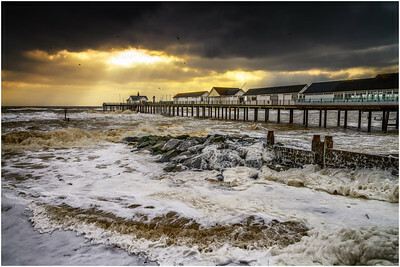 The weather conditions on this recent trip to Southwold Pier, Suffolk, were mental. For the best part of an hour you could hardly stand, let alone take a photograph. Then after a 10 minute lull, the cloud parted and the rays from the morning sun shone down. 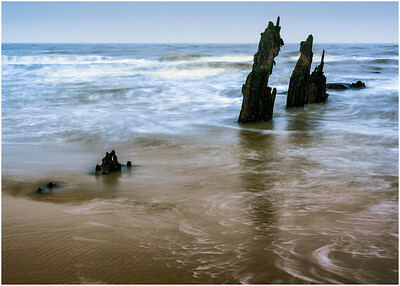 Remains of an old pier in Suffolk at low tide. 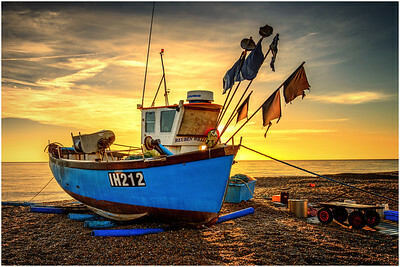 The sun rising behind one of the fishing boats at Aldeburgh in Suffolk, UK.